Social Work Scotland is the professional leadership body for social work. As the Communications and Events Manager for Social Work Scotland you will be responsible for ensuring our members and partners are kept up to date with our work, and relevant UK and international developments. You’ll lead on the planning and production of our communications, and you’ll develop, coordinate and deliver events linked to our core business. Develop and implement an external and internal communications and events plan for Social Work Scotland, with a view to increasing our profile, membership and impact. Maintain the Social Work Scotland website, liaising with the website designer, drafting and approving content, and keeping the members area up to date. Coordinate Social Work Scotland’s social media accounts and content, ensuring members, partners and other interested parties are kept informed of our work and activities. Lead on the development, planning and delivery of events, from small seminars to national conferences, including the commissioning of support services and budget management. Produce and disseminate the ‘Daily News’, quarterly ‘Standard’, eCommunications and other briefings for Social Work Scotland members, keeping them abreast of key developments within the Scottish and UK social services sector. Provide professional expertise, advice and support to Social Work Scotland colleagues and office bearers (i.e. Committee Chairs), and be the main point of contact for members, partners, stakeholders and sponsors on all communications and events matters. 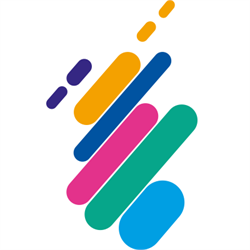 Oversee the production of Social Work Scotland’s electronic and printed materials, liaising with third parties such as authors, designers, printers, etc. Support the Director and Head of Social Work Strategy & Development in the delivery of their roles.